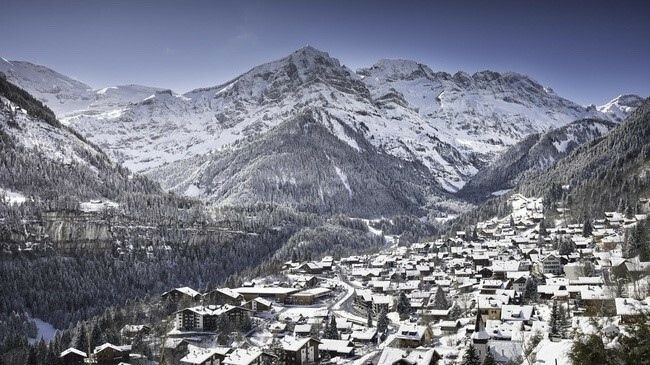 Champéry has replaced Morges as the venue for curling at the 2020 Winter Youth Olympic Games in Lausanne, it has been announced. Morges withdrew as hosts last month, citing economic concerns, and Lausanne 2020 said they evaluated "several options" before choosing Champéry. The proposal to hold curling competitions at the Champéry Palladium, made by the Organising Committee, was accepted by the International Olympic Committee Coordination Commission. The decision was also taken in conjunction with the World Curling Federation. Organisers claim Champéry is the same distance from the Lausanne Olympic Village as Villars, where the disciplines of ski cross and snowboard cross will take place. Lausanne 2020 said they would now work on finalising the adaptation of the curling programme planned for the new venue. "As soon as the withdrawal of the City of Morges was announced, the International Federation and our team took advantage of our joint presence at the Pyeongchang Olympic Games to evaluate the options available to us," Lausanne 2020 chief executive Ian Logan said. "The Champéry Palladium and the surrounding infrastructure met the Federation's requirements in every respect. "It will also enable us to put in place an ambitious education programme for all stakeholders, which is very important to us. "This choice responds to the desire to organise competitions within the framework of existing infrastructures." Champéry held the World Mixed Curling Championships last year and has also staged the European men's and women's Championships on two occasions - in 2010 and 2014. "Becoming an Olympic venue is historic news for Champéry and the Palladium," Luc Fellay, President of the City of Champéry, said. "We are extremely grateful to have been chosen by the Organising Committee and the highest levels of world curling. "This is an accomplishment for everyone here who has been involved in the promotion of curling for years. "We will do everything we can to welcome the future curling stars in 2020 in the best possible way, and to make sure that our own training centre, and therefore the sporting youth of our region, and beyond, can benefit from it."